Wendy and Peter Clarke’s annual Christmas Lights are always a delight. This year was no different. They enter the lights into the Harvey Bowler Festival of Lights, and this year placed 5th. Congratulations folks, and thanks for lighting up our Christmas! 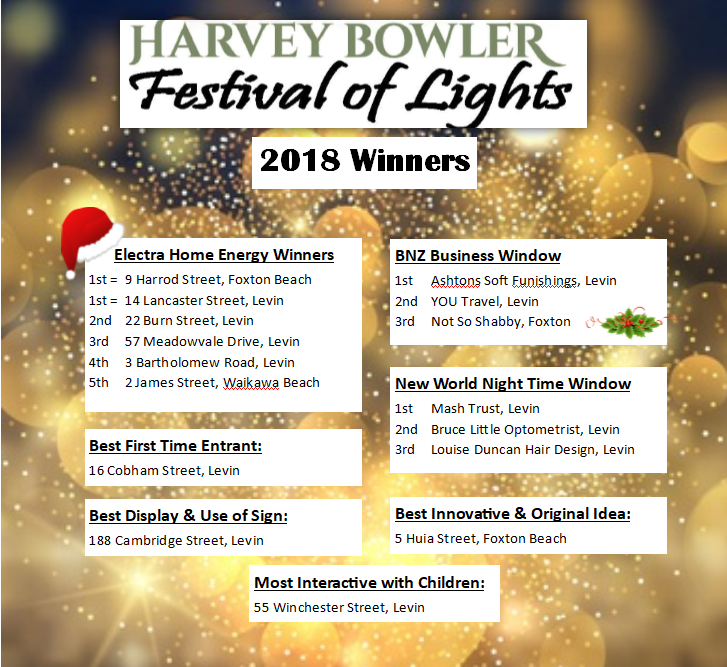 Winners 2018 Harvey Bowler festival of Lights. 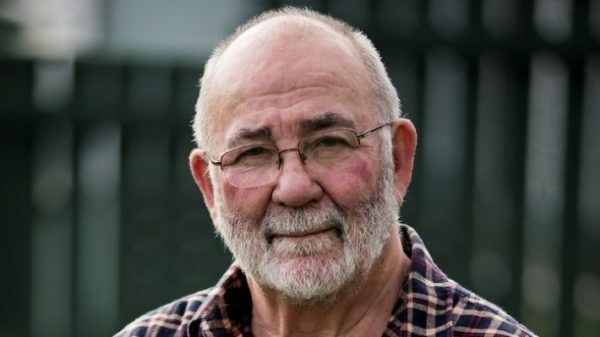 Mr Kim Workman (Ngāti Kahungunu ki Wairarapa) was appointed a Companion of the Queen’s Service Order in 2007 for his services to prisoner welfare. Mr Workman stepped down from his role as National Director of Prison Fellowship New Zealand in 2008. He then served a three-year term as Families Commissioner from 2008 to 2011. He founded the Robson Hanan Trust, of which he remains a Trustee, Strategi Advisor, and spokesman. The Trust oversees the Rethinking Crime and Punishment strategy, which he helped launch in 2006, and in 2011 founded JustSpeak, a non-partisan network of young people speaking up for change in the criminal justice system. He has remained a Board member and strategic advisor to JustSpeak. He was a Board member of Prisoners Aid and Rehabilitation Trust from 2012 to 2013. He became an Adjunct Research Fellow at the Institute of Criminology at Victoria University of Wellington in 2013. In 2015 he was awarded Victoria University’s John David Stout Fellowship and began writing the book ‘Criminal Justice, the State and Māori, from 1985 to 2015’. As an academic he has contributed a number of book chapters and produced journal articles on various aspects of criminal justice. Mr Workman was awarded the honorary degree of Doctor of Literature by the Victoria University Council in 2016, and the same degree by Massey University Council in 2017. Source: New Year Honours 2019 – Citations for Knights Companion of the New Zealand Order of Merit | Department of the Prime Minister and Cabinet (DPMC). 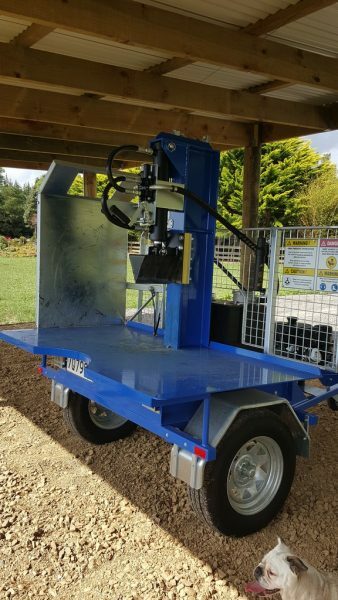 STOLEN from Ferns of Manakau: wood splitter. Please report sightings or other info to 0800 22 42 62. Public meeting about beach access. About 2/3 of attendees had arrived at the time of the photo. A couple of minutes before the Public Meeting about beach access, about two thirds of the final 110 or so attendees had arrived. The meeting was held in Manakau Hall on Saturday, 19 May 2018 at 2 pm and went on till 3.30 pm. 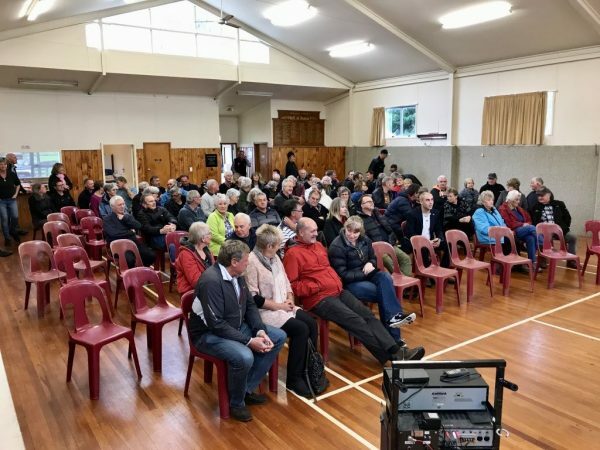 The meeting was opened and closed by John Hewitson, Chair of the Waikawa Beach Ratepayers Association, and the Facilitator was Harley Thorpe. The meeting was also recorded on audio (85 MB, MP3). What follows are the personal notes taken by Miraz Jordan, WBRA Committee member. If you believe something in the notes is incorrect, please let us know. If you want to discuss what someone said at the meeting, please add your comment below. Neville Hyde and Kirstie, 25 Drake St: beach access is significant for them, eg fishing. Have had access for 30 years across Miratana private property. Have we had discussion with Miratanas, eg getting across their land rather than round Strathnaver Drive? Formalities could take years. North track off Reay Mackay Grove is 20 metres wide. Foreshore option may not be realistic with global warming. Alister Holden: Access ruined by river erosion. Unauthorised track terminates in steep drop off and goes into river — only possible at low tide and with no flood water. Many vehicles not suitable for that. Takes its toll on vehicles. 2 walkways on Reay Mackay Grove which could at low cost and little effort to allow vehicles. No big deal to shift posts and battens. High rainfall in Tararuas with spring tide brings floods. Recent road works have helped with roads but floods need to get out to sea. Rock groyne exists, but it’s poorly designed. 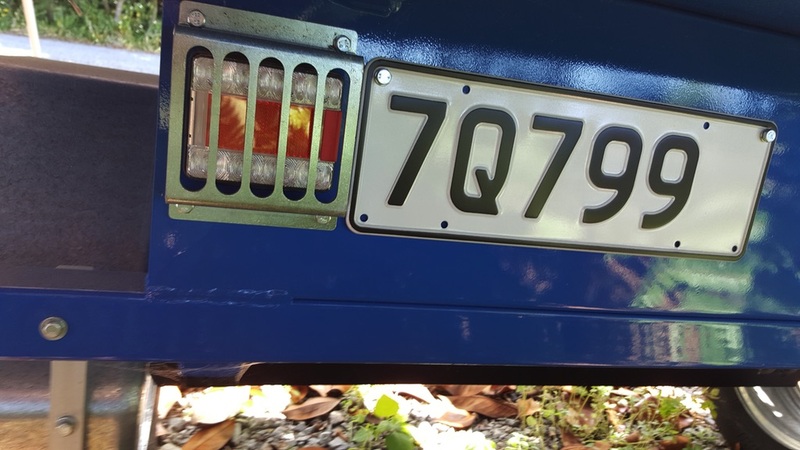 Too low and too short. Some want to keep vehicles off the beach but far more came to Waikawa Beach to fish etc. Alister rescues someone about every 2 weeks. Suggests: bigger, longer rock groyne that allows river to go more southwest, cut river, concrete barriers backfilled with rubble and covered with sand to protect damaged sandbanks. Then recreate vehicle access across Miratana land. Most convenient. Reay Mackay Grove walking tracks need to be open to vehicles — at least one of them. Either track would take only 1 day to put in, but no line of sight so would need passing bays. Horowhenua District Council and Horizons Regional Council aren’t taking responsibility and don’t seem to be following terms of Resource Consent. Would like WBRA to approach local MP Nathan Guy, Horowhenua District Council and Horizons Regional Council to get urgent resolution. We the community could do the work if money is forthcoming. Sophie Campbell: lives at south end of Reay Mackay Grove. Would like dedicated safe pedestrian-only access. Some vehicles have gone through dunes at Reay Mackay Grove creating damage. Lots of kids in this neighbourhood who use tracks. Both tracks are dedicated Recreational Reserves — would need to be consulted on and a long process to turn them into roads. One track is 5 metres wide and could be planted and fenced as dedicated pedestrian. The north track is 14 metres wide and opens into wedge where pingao has been planted to preserve dunes and where birds nest. Want to protect that. Manga Pirau Street access could be again vehicle access. Many people want or need vehicle access. Groynes could be used. Could have access off walkway — currently footbridge. River cut could be good short-term solution. Facilitator: seems to be 2 conversations — immediate access, especially for vehicles and also alternative routes and future access, longer process. Frame conversations to that. Facilitator: show of hands of who wants to speak — about 8. Matt Fogden: lives on Reay Mackay Grove. Access ways there will never happen. Only solution is to cut river. Dunes to north are too high and pushing river. Erosion started when quad bikes invented. Need to fill in hole — gravel from further up Waikawa could be moved. Use old access but make permanent track. Area to south should be conservation land. Plant marram. Keep river where it is. [clapping] Miratana family he thinks are happy for access as is. More tracks though will blow out sand and river will come in. Facilitator: any more comments? Two. Jeannie, Manga Pirau Street, 30 years: some have talked about vision for future and maintaining our incredible community. We also need time for long term vision as well as short term solution. We’ve had amazing offers of skills. Have vision and unanimity. Can be an exemplar of balance. Facilitator: thanks. Was orderly. Hand over to JH. JH: would like people to know we’ve already had volunteers to repair damage to vegetation by unauthorised track. That should please Miratanas to see land restored. None of us would like that damage to our own property. Don’t want to upset Miratanas. Do want to maintain Manga Pirau Street access. Until recently beach speed limit was 100 Kph, now 30 Kph. Need vote: in favour of river cut? Arthur Nelson from Horowhenua District Council will consult with Horizons Regional Council and Miratanas to do this. Show of hands: totally in favour, one not. JH: thanks to committee for work and info. Question from audience: in favour of cut. Need to champion ongoing maintenance to river. If consent expiring then renew it. JH: One cut per year is not enough. Q: implication of cut and groyne? JH: need to get consensus with two councils for that. Q: get vote for asking council for more permanent solution? JH: lots of points of views about how river flows. Whitebaiters don’t want straight river. Eco for birds desirable. JH: will ask for river cut asap and requesting groyne. Q: what is right solution? Needs engineers. Kevin Burns: clarify: full review expected by Horizons Regional Council in October 2018. The meeting was followed by a cup of tea and a biscuit. Can you help us find an independent facilitator? Folks, the Waikawa Beach Ratepayers Association needs a skilled facilitator for our public meeting on Saturday 19 May 2018 at Manakau. Any leads? Please email wbra.committee@gmail.com (or contact Kevin) if you know of someone not inside our community who has the skills to productively run a meeting with widely diverse opinions and the goal of reaching a broad general agreement on direction. Update 16 May 2018: we’ve located a facilitator now. More details to follow in a separate item.